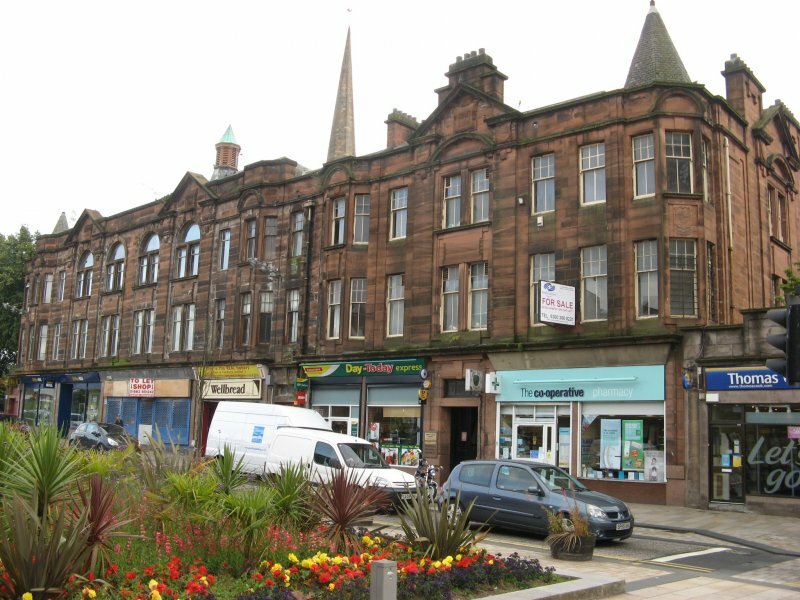 Renfrew Equitable Cooperative Society. 3-storey red sandstone ashlar on L plan with classical details. Original windows 6-pane upper sashes, 2-pane lower, some replaced with inappropriate modern aluminium-framed windows. Slate roof NORTH ELEVATION Treated as 2-blocks, left one near-symmetrical. Canted 4 bays have round-headed mullioned and transomed windows at second, bipartites at first, end of these bays clasped by giant order pilasters, with broken pediments rising through pediment. Flanked by angle windows at first and second than canted oriel with round-headed pediment. To left similar corner oriel with pyramidal, to right single bay, both with wide doors and fanlights at ground. Raised roof with octagonal louvred ventila to right block. Similar to left arranged single window and canted oriel - single window and bipartite with flanking pilasters and double-pedimented chimney-gabled head and double window and corner oriel. as left bays and oriel turning corner to N elevation. 5 July 2012: Building nominated for the Register by Local Planners. 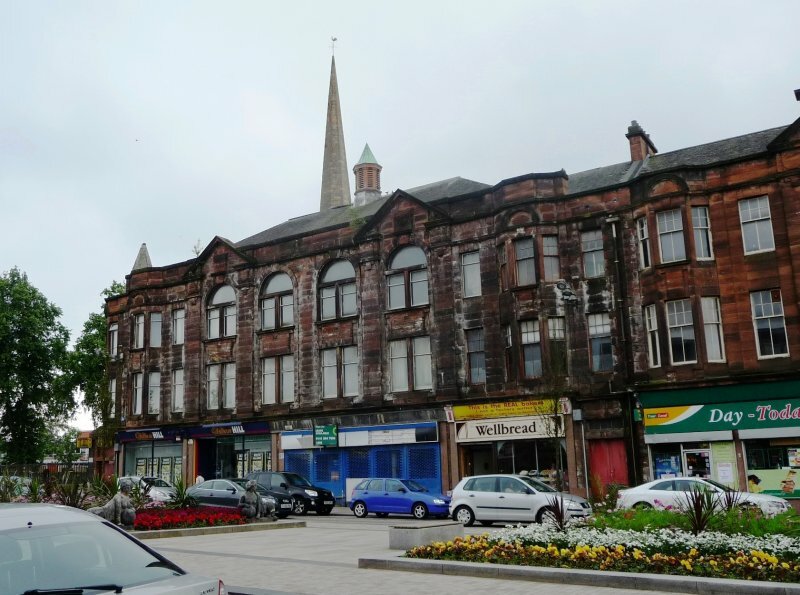 External inspection finds the ground floor is in use as retail but the upper two floors are vacant. The building appears to suffer from widespread damp. There is one boarded up window to the front and a number to the side as well as several broken or missing panes to the rear. Full Planning Permission and Listed Building Consent were conditionally granted Feb/ Mar 2008 for conversion of the former social club to 11 flats ref: 08/0129/PP & 08/0132/LB. 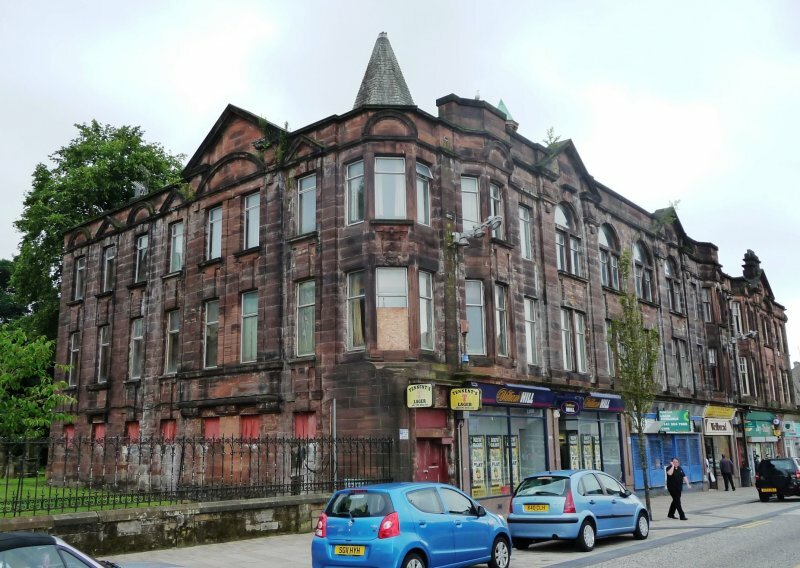 19 October 2012: The Paisley Daily Express reported (July 2012) on local concerns for the building. 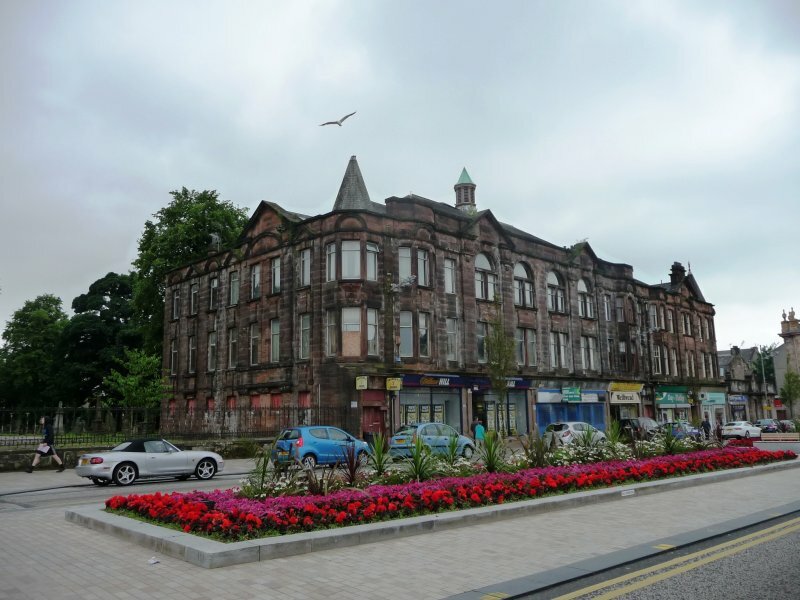 The article goes on to report the owners of the former social club retain a long-term commitment to complete the conversion to flats but the project was on hold for six months due to the economic downturn. 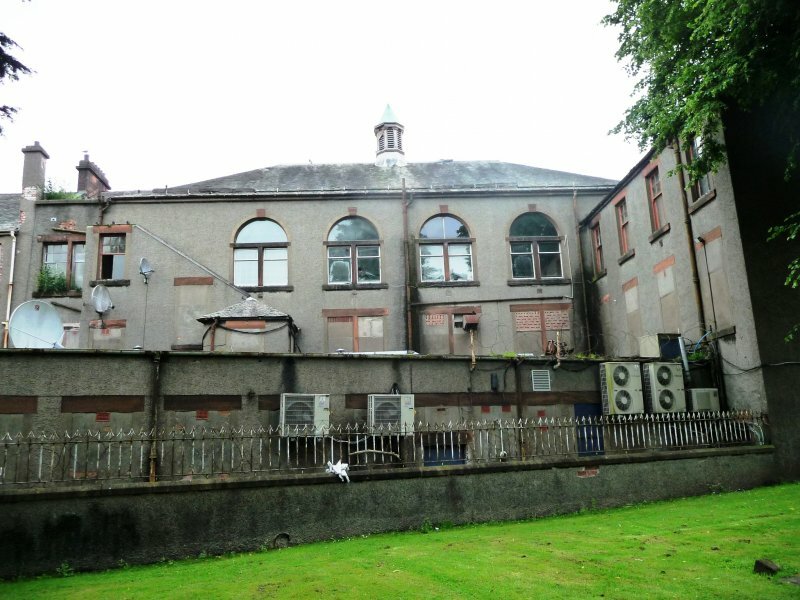 20 August 2014: External inspection finds the building remains in much the same condition as seen previously. A marketing board is affixed to the property advertising it (in part) for sale. 2 March 2015: The section of the building previously noted as being marketed for sale (#8 High Street) is noted as being Under Offer. 30 October 2017: Listed Building Consent for conversion to form 11 flats is being sought ref: 2888430.